The Parliament Traditional King Bedroom Group with Storage Bed by Legends Furniture at Van Hill Furniture in the Grand Rapids, Holland, Zeeland area. Product availability may vary. Contact us for the most current availability on this product. Bed Storage Footboard storage drawers. 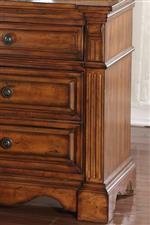 Case Details Grand scale mouldings provide depth and character to each piece. Case Construction Constructed using various species of solids and veneers. 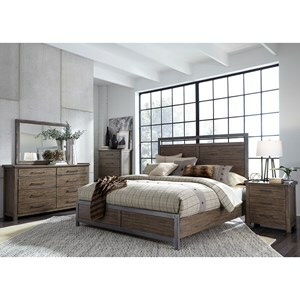 Bring a traditional look to your home with the entertainment and bedroom pieces from the Parliament collection. Each piece in the group shows off a beautiful hazelnut finish and heavy moldings that create a look and feel full of tradition and class. The Parliament collection is a great option if you are looking for Traditional furniture in the Grand Rapids, Holland, Zeeland area. 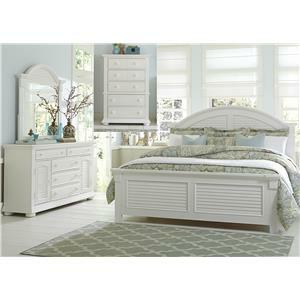 Browse other items in the Parliament collection from Van Hill Furniture in the Grand Rapids, Holland, Zeeland area.